Fasting combined with chemotherapy can slow growth, spread of tumors and cured some cancers according to a study. 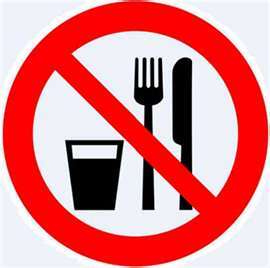 Abstinence from food while undergoing cancer treatments help raise the effectiveness in the cure of the disease. In an animal experiment, fasting on its own slowed the growth and spread of tumors in mice, scientists found. Mice with five out of eight different types of cancer responded to fasting alone, the researchers found. Fasting also extended the survival of mice with a human like ovarian cancer. Multiple cycles of fasting combined with chemotherapy cured 20 per cent of those with a highly aggressive form of cancer while 40 per cent with a limited spread of the same cancer were cured. None of the mice survived if they were treated with chemotherapy alone. Researchers are already looking at the effects of fasting on human patients but only a clinical trial lasting several years will confirm if human cancer patients really can benefit from calorie restriction. However, they highlight that fasting could be dangerous for patients who have already lost a lot of weight or are affected by other risk factors, such as diabetes. The latest investigation, published in the journal Science Translational Medicine, found that tumor cells responded differently to the stress of fasting compared to normal cells. Instead of entering a dormant state similar to hibernation, the cells kept growing and dividing, in the end destroying themselves. “The cell is, in fact, committing cellular suicide,” said lead scientist Professor Valter Longo, from the University of Southern California in the US. Results of a preliminary clinical trial will be presented at an annual meeting of the American Society of Cancer Oncologists (ASCO) in Chicago this June. Prof. Longo points out that the study only tests if patients could tolerate short fasts of two days before and one day after chemotherapy.